’Tis the season for holiday parties, overeating, and hiding indoors until spring arrives. Facts are facts, gang. Staying active when the snow starts to fall is pretty much impossible. At least that’s what we tell ourselves. Fortunately, Pittsburgh’s events calendar is out to prove us all wrong. From festive fun runs to yoga and booze, here are the December events making it a whole lot easier to find some balance and break a sweat while celebrating the holiday season. Bundle up, lace up your skates, and glide around the new and improved ice skating rink at PPG Place. The rink is bigger than ever before, accommodating more than 300 skaters at once! It’s the perfect way to stay active during the winter months (and not a bad winter date idea). Know a Job-Hunting Veteran? Tell Them About ServiceToOpportunity.org! ServiceToOpportunity.org is a powerful matching tool that connects veterans directly to managers ready to hire for in-demand jobs at regional energy and manufacturing companies. The site has recently been enhanced with a fresh, more user-friendly interface, videos of the types of open jobs, and a direct and personal connection to employers. If you’ve already created a job seeker profile on the site, click here to reset your password (as part of the site revamp) to begin connecting with employers ready to hire. Not sure if you made a profile? Enter your email address in the log in page; if you’ve already created a profile, you will be prompted to update your password. If you haven’t, or if your new to the site, it takes about five minutes to create a basic profile; you can always come back later to tell employers more about your skills and experience. VETERANS: Even if you’re not job-hunting right now, it’s always a good career move to have your resume out in places where recruiters are looking for talented, hardworking veterans. Sign up here, or pass the word to veterans or returning servicemen or women in your personal and professional networks, on Service To Opportunity®’s social media platforms: Facebook.com/ServiceToOpportunity and Twitter.com/Srv2Opportunity. EMPLOYERS: Want to post your Pittsburgh region energy or manufacturing jobs on ServiceToOpportunity.org? Contact kmckenzie@alleghenyconference.org. Posted in energy, Learn, Manufacturing, veterans. October rocks, with heavy hitters like VIA, Maker Faire and Reel Q, plus tacos galore, the cult of Lebowski, dogs in costume, and even some yinzer gore. It was a challenge to pick just 12, so check out our events section each week for more. Whether you’re ready to add a canine companion to your clan or are looking for a festive fall outing for your favorite four-legged friend, head to The Waterfront for an afternoon celebrating all things canine (and some cats too!). Pittsburgh’s largest animal adoption event, DogtoberFEST will feature 64 shelters, breed-specific rescue groups and vendors. Attendees can meet adoptable dogs, shop for pet-themed products and doggie goodies at a specialty vendor market and bake sale, pick up resources from vets and trainers, and more. The free, outdoor festival will also feature live music by The Real Deal, search and rescue demonstrations led by Nosework, and a recreational enrichment trail for pups. 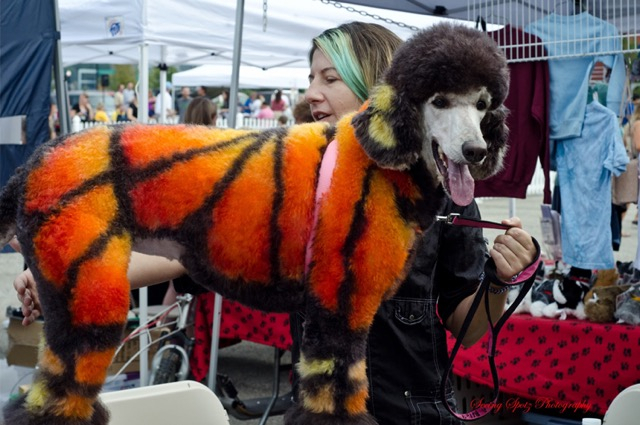 If your dog loves to don garb, don’t miss the Pooch Pride Parade Costume The free furry fun is presented by the Coalition to Adopt, Rehome and Match Abandoned Animals and Robinson Animal Hospital. Smithfield United Church of Christ. Amy Cicconi Photography. If you’re like us, you’ve strolled the streets of downtown, looked up to spot a carved gargoyle, intricate spire, or green roof and thought to yourself: I wish I could go inside. Now you can. Swinging open the doors to some of Pittsburgh’s most iconic structures, this first-of-its-kind event features behind-the-scenes access at 40 downtown buildings—including historic landmarks and off-the-beaten-path gems. From private clubs to chic hotels—it’s your chance to experience Pittsburgh’s storied structures, rich architectural heritage, and diverse urban landscape. Peer into the magical “forever mirrors” at the Benedum Center, wander through the Allegheny Harvard, Yale and Princeton Club—originally built in 1894 as workers’ row houses—and explore ornate, early-19th-century masterpieces erected by industrialists like Henry Clay Frick. 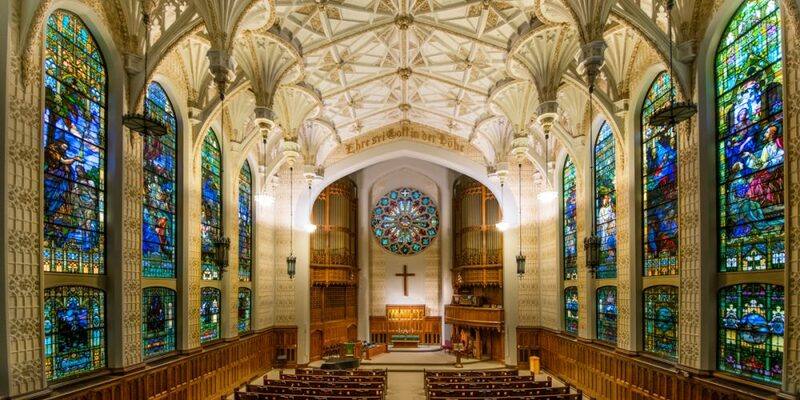 Inside the Flemish Gothic Union Trust Building, you’ll experience the awe-inspiring central rotunda, 10-story atrium and breathtaking Tiffany glass dome. Bask in the Beaux-Arts splendor of The Pennsylvanian, tour an aquaponics site and enjoy rooftop access at the convention center. Don’t just walk past quickly without noticing, look up and go on in. Download the event guide. The city’s love affair with the small but mighty traditional Mexican dish will be on the front burner at the first of what we hope will be an annual affair. Bringing 20 top taquerias together, the highly buzzed about Taco Festival will feature everyone from Edgar’s and Round Corner Cantina, to La Palapa and Mission Mahi. 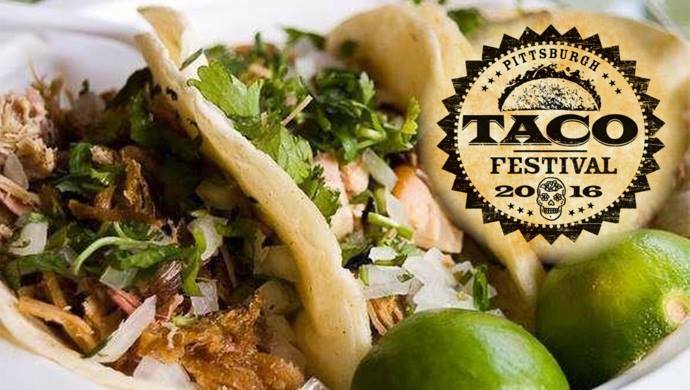 Boasting one of the largest selections of tacos in the Burgh, the event will also feature a Chihuahua costume contest and a taco-themed mercado. 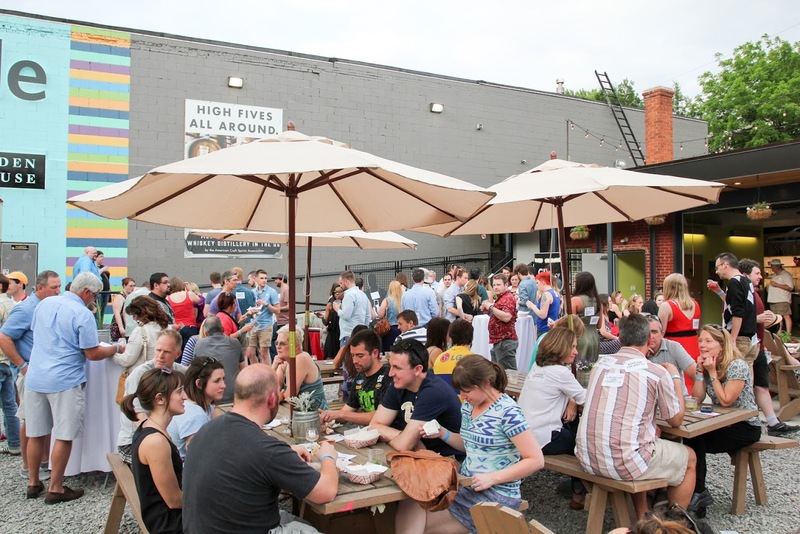 Slinging the goods at Hop Farm Brewing—because nothing tastes better with tacos than beer—the festival offers two afternoon sessions with live music by DJ Mateo and Gavas Beat. The brainchild of Pittsburghers Craig and Bridget McCloud—self-professed taco lovers who operate Popsburgh, a food cart selling handmade Mexican paletas—the event celebrates the couple’s favorite handmade street food. Dig in for a cause because this tasty fest benefits Allegheny CleanWays’ mission to eliminate illegal dumping and littering. Buy tickets now because this foodie fiesta is expected to sell out. UpPrize finals event. Photo: Erika Gidley. Have a grand idea and want to take it to the next level? UpPrize, the social innovation challenge created by The Forbes Funds with partners BNY Mellon and Bridgeway Capital, is back after its stellar debut last year. 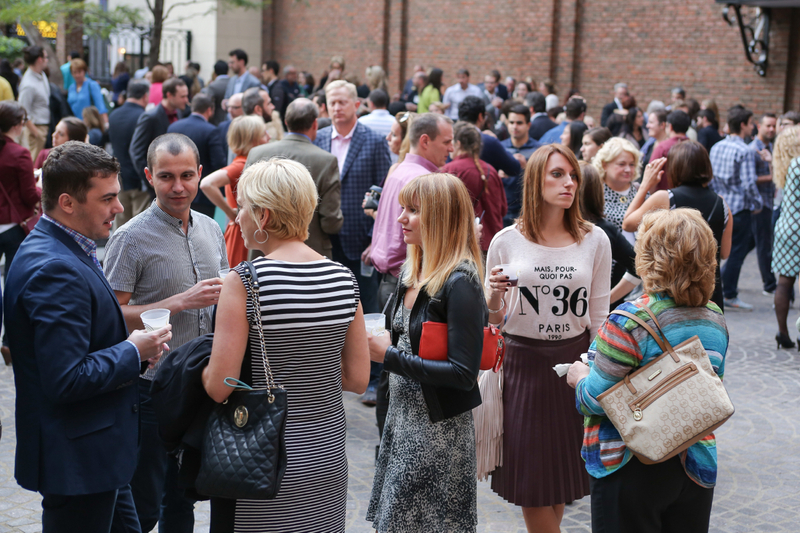 You’re invited to share your best and brightest solutions and help NEXTpittsburgh launch the latest round during this free networking event. Called “the networking event of the year” by AlphaLab Gear‘s Ilana Diamond, the night will feature great food, local craft beer, and the chance for citizens, cohorts, organizations, and others to envision solutions addressing two challenge areas: access to healthy food and innovative technology. 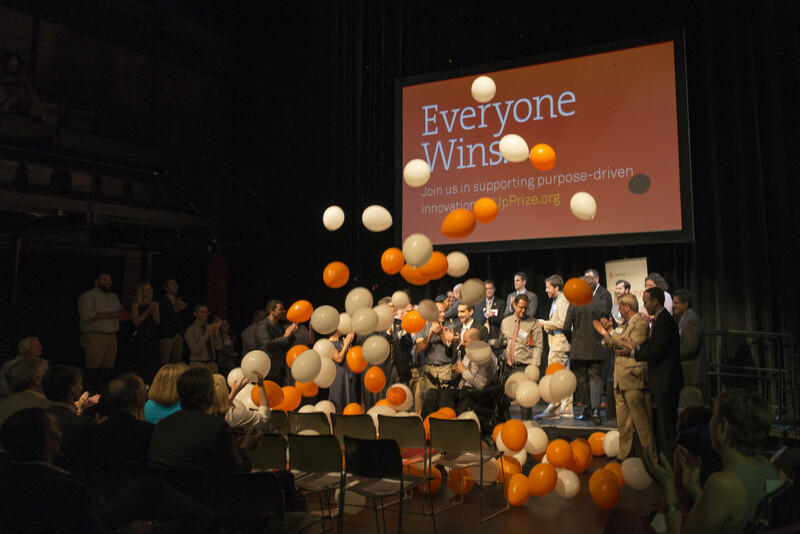 Imagine yourself in a room packed with entrepreneurs, nonprofits, funders and techies—with every chance to talk social innovation and network for all you’re worth—and you’ve got the picture. Applications will be accepted between October 1 and November 30. Each challenge offers a $350,000 award. Finalists will be selected by January 2017. This is close to being filled so hurry. Learn more about UpPrize. Register now. For four days Pittsburgh will be at the epicenter of experimental music and audiovisual culture. It’s fitting that for its 7th ambitious edition, the previously nomadic VIA Festival will make the city’s newest boutique hotel its flagship laboratory for cutting-edge audio and visual presentations. 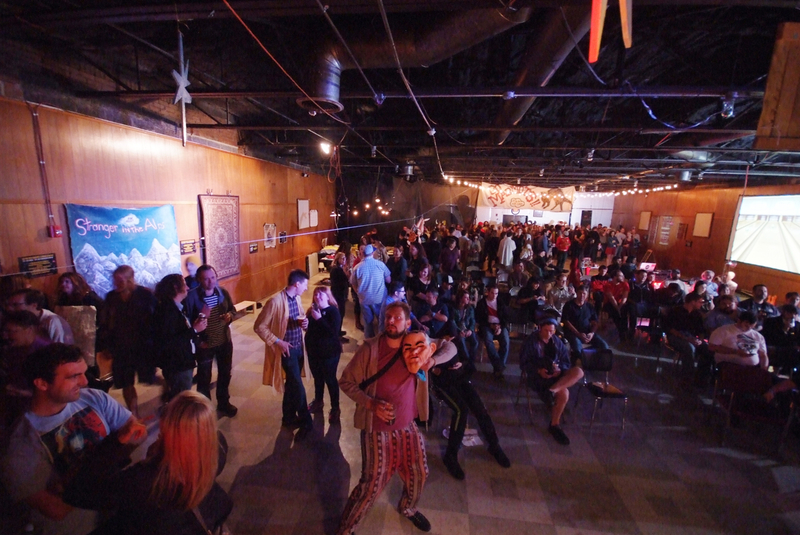 VIA and East Liberty have a collaborative history, with the festival popping up in its formerly vacant urban spaces and running an underground venue at 6119 Penn (RIP). The thoughtfully curated fest features 40-plus artists and 15 main events, highlighting unlikely pairings in sound, new media, performance and technology. Staunchly multi-disciplinary, multi-sensory and multi-format, the star-studded lineup brings together legends and legends in the making—several making their Pittsburgh debut—such as Cannes winner Giant, Rihanna collaborator Sam Rolfes, iconic rapper Rakim, and South Bronx pioneers ESG. 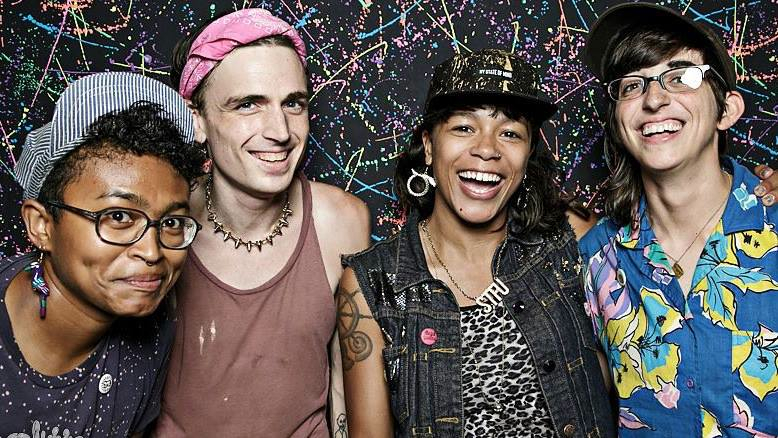 Free highlights include a discussion with landmark black female artists, a master class with Brooklyn performance duo Fluct and a hands-on coding and digital drawing game titledExquisite Donut. What sets VIA apart in a sea of festivals? Its commitment to including local artists, and rich opportunities for attendees to be active participants in featured artworks. Projecting out from Ace, VIA also offers satellite events at non-traditional spaces such as pop-up galleries, theaters, libraries, universities and more. View a schedule and buy tickets. King Cobra, Justin Kelly (2016). Get ready to strike a pose at Reel Q. Boasting standout performances from Madonna to James Franco to Isabella Rossellini, Pittsburgh’s annual presentation of lesbian, gay, bisexual and transgender cinema returns for its most star-studded festival in Reel Q history. Spanning film, television and Broadway, this year’s festivities bring 10 days of diverse programming to downtown’s Cultural District. We all know about the Material Girl, but what about the talented male dancers who performed with the pop icon? Reel Q kicks off with a bang, presenting the behind-the-scenes story of the dancers who performed with Madonna during her legendary 1990 Blond Ambition World Tour. Don your 1980s-era garb, because the film will be followed by a Madge-themed after-party at Bricolage. Reel Q wraps with a stellar pairing of Oscar-nominated actor James Franco and Golden Globe winner Christian Slater, who star in Justin Kelly’s 2016 film, King Cobra—a gripping true story about a murder scandal that rocked the adult entertainment industry. Reel Q also features themed shorts, French cinema, 20th-anniversary classics, a closing party and more. View a schedule. Buy tickets. In August, fans on all continents mourned the passing of David Huddleston, who played the title role in the iconic 1998 Coen brothers film, The Big Lebowski. Here to give 412 achievers their annual fix of the cult flick—while anointing new generations of Dudes—is Pittsburgh’s homegrown take on a quirky festival held around the globe. Slip into that beige bathrobe, mix up a White Russian and spew witty Dudeisms, when Spirit becomes a playpen for everybody’s favorite slacker. More than a movie screening, the 4th annual shindig is bigger than ever with two floors of Dudery hosted by charismatic artist Alexi Morrissey. Be an achiever as you play rounds of ear spitting, ringer toss and trivia, ride a zip line, and compete in a citywide scavenger hunt (bring them a toe by 3 p.m.!). Pitch your Lebowski sequel to actor/director Patrick Jordan, show off your dance moves in a competition judged by Attack Theatre’s Peter Kope and score under par in a mini-golf course designed by Pittsburgh artists. Wash it all down with classic rock performed by the F*cking bEagle Brothers and Charlie Hustle and the Grifters. Buy tickets. Where can you watch a robot sort trash and recyclables and witness a hand-cranked Gatling gun fire off 144 rubber bands? Dubbed “the greatest show-and-tell on Earth, Maker Faire lands on the Northside for two days jam-packed with wondrous exhibits, demos, performances, and activities—spanning every category under the sun, like the Internet of Things, Steampunk, gaming and more. Pittsburgh’s second foray into the Maker Faire phenom will flood Buhl Community Park, Children’s Museum of Pittsburgh and Nova Place with a melting pot of makers, tinkerers, inventors, techies and beyond. Equal parts science club, county fair and DIY confluence, Maker Faire brings together some of the region’s most inventive minds—from cutting-edge roboticists to kid inventors to commercial entrepreneurs. 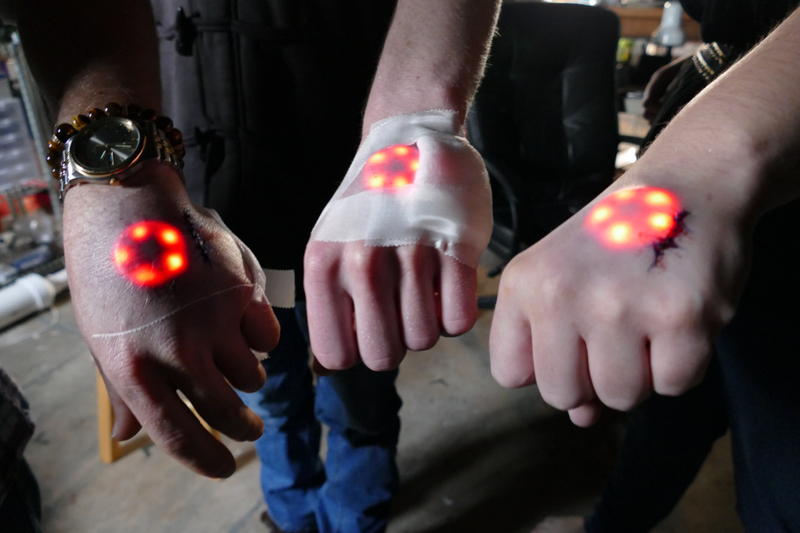 Delve into the fascinating world of biohacking, play a fun new lawn game handmade in Pittsburgh, and learn basic coding and animation techniques to customize your own Pokémon characters. Step into an augmented reality sandbox to create digital art and interact with colorful projections, topographic maps and photo portraits. View a schedule and buy tickets. FUSE@PSO. Photo by Wade Massie. 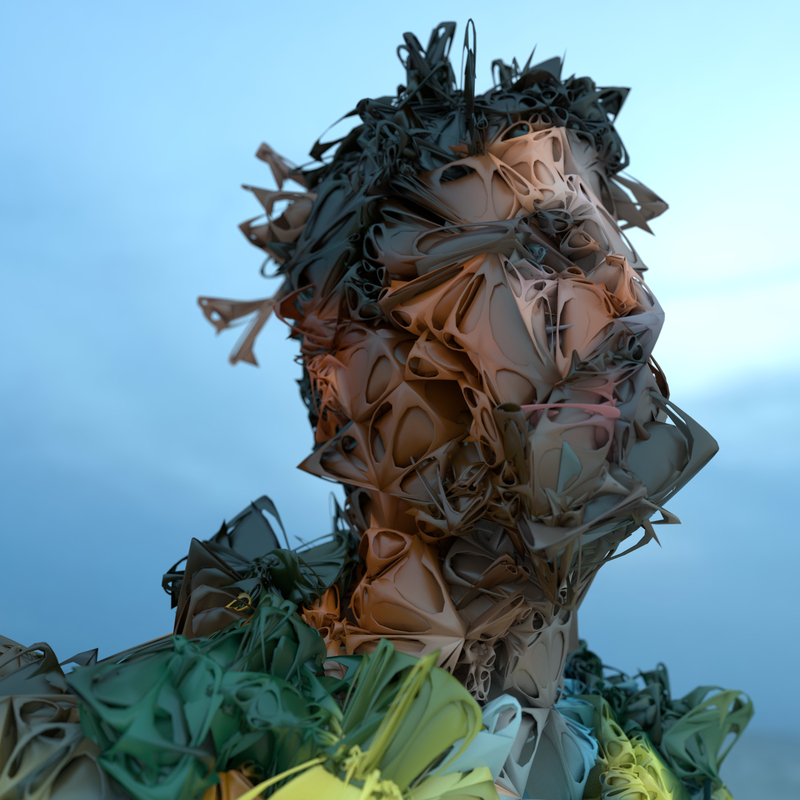 Ready to meet the lovechild of Hungarian composer Béla Bartók and Icelandic icon Björk? Musically speaking that is. The synergistic sonic results just may surprise you. If you missed the rousing debut of conductor Steve Hackman’s FUSE@PSOlast year, then you have three fantastic chances to catch the cutting-edge series when it returns. Boldly going where most symphonies don’t venture, FUSE pairs contemporary and classical masterpieces to forge bold musical hybrids. For its 2016 launch, Hackman will conjure a vibrant and evocative mashup of Bartók’s 1943 Concerto for Orchestra, and 11 striking songs from Björk’s seminal albums—Debut, Post and Homogenic. The one-of-a-kind concert will showcase the vocal talents of Malia Civetz, Carla Kihlstedt and Kristin Slipp. With Hackman at the helm, the production will explore Bartók’s love of Western art music and eastern European folk music along with the eclectic vision of Björk, which spans pop, electronica, jazz and more. Arrive at 5 p.m. for a lively happy hour in Heinz Hall’s sublime garden, featuring specially-priced drinks, activities, snacks and mingling with the musicians. The concert starts at 6:30 p.m. and it’s open seating with drinks allowed. Buy tickets. Please note: Due to the current PSO Musicians’ strike, concerts through October 27 have been canceled. For more information, please visitpittsburghsymphony.org and PSOupdate.com. Where can you bob for apples and drink them in your whiskey? Channel the spirit of Johnny Appleseed—who introduced apple trees to Pennsylvania—celebrate the fall harvest season and be among the first to taste Wigle‘s new cider-infusedwhiskey at this weekend-long festival. At Wigle‘s Strip District distillery and Northside barrelhouse, Walkabouters will sample the new release, sip autumnal cocktails, grab grub from food trucks, bob for apples, and take selfies with Johnny Appleseed. Free and family-friendly, the festivities will include presentations by the Apple Whiskey development team, apple-themed games with City of Play and live music by The Lonely Lights and Chris Hannigan. Created in collaboration with Chatham University’s Food Studies Program, Wigle’s newest concoction is a base of rye and wheat whiskey hand-blended from 15-gallon casks. Savor the robustly-flavored results for yourself as you enjoy this custom blend of hearty apple cider and subtle sweetness on a crisp fall day. For more whiskey, check out the Pittsburgh Whiskey & Fine Spirits Festival October 28 at Rivers Casino. El Vez, photo by Randall Michelson. Warhol turned repetition into a global art phenomenon using everyday objects and pop icons. You’ll see much more than double at the museum’s signature fundraiser, back with a creative new twist riffing on one of the Warhol’s favorite subjects. Whether you prefer him as a guitar-slinging Army sergeant, rockabilly bad boy or 1970s lounge crooner, it’s not too early to start crafting your over-the-top Elvis ensemble for this glittery tribute to all things The King—and King of Pop. 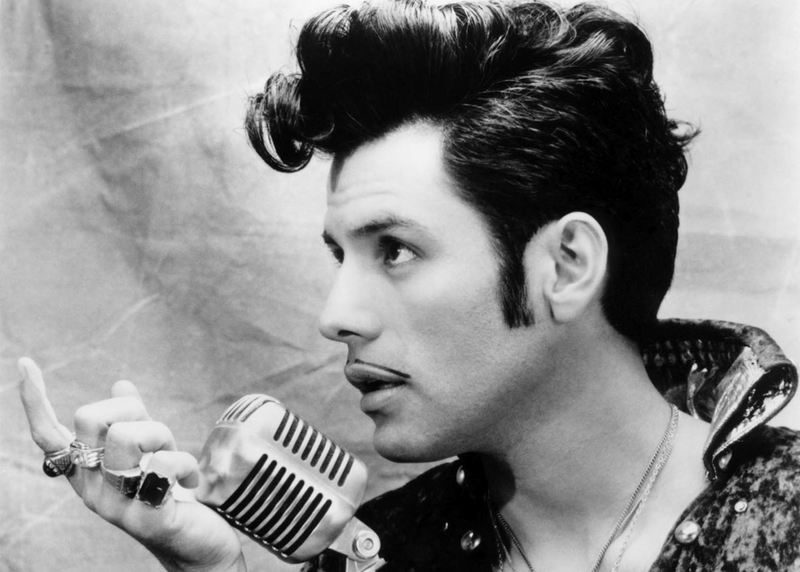 Channeling the Tupelo tornado will be the self-proclaimed “Mexican Elvis,” El Vez (aka singer-songwriter Robert Lopez), who has not performed locally since 1998. Attendees can get marked with Elvis-inspired temporary tattoos, swing their hips Memphis-style during DJ sets and shop for iconic Warholian wares. Elvises will have access to the museum’s seven floors, and will be the first to see the new exhibition, Andy Warhol: My Perfect Body. Featuring 200 artworks, the first-of-its-kind show explores Warhol’s focus on the human body—abstracted, tormented, sculpted and idealized—and delves into his personal struggles with physical appearance. VIPers will have access to an exclusive underground “Viva Las Vegas” lounge featuring casino games, unlimited drinks and hors d’oeuvres. Buy tickets. Artwork by Joe Mruk, Red Buffalo Illustration. Ever since the first zombie crawled out of a western Pennsylvania cemetery in George Romero’s 1968 seminal cult classic,Night of the Living Dead—literally spawning a new genre—Pittsburgh has nurtured a love affair with horror films. With the spooky season upon us, Bricolage is breathing new life—and death—into the cinematic classic, updating it with a raucous yinzer twist. Bricolage’s longtime fan favorite Midnight Radio Series returns to dish out a comedy-laden revamping of the flick complete with a contemporary “yinzerized” script adapted by the company’s producing artistic director, Tami Dixon. Paying homage to the Godfather of Zombies, the spine-tingling show will be augmented by the eerie live music of classical rock powerhouse Cello Fury. Via its trademark 1940s radio format, Midnight Radio will also showcase live Foley sound effects, commercial spoofs, and a dub over the film screening using Dixon’s clever script. For added gore, don’t miss the pre-show Happy Half-Hour and The Brains N’at Ball on Halloween. Buy tickets. VIA visual artist Chris Coleman. Looking for live music? Read our Everything you need to know about Pittsburgh concerts in October feature. Looking for events for families and children? Check out our 10 great family adventures in Pittsburgh this Septemberfeature. Posted in Arts & Culture, design, Downtown Pittsburgh, Learn, Neighborhoods.